“How Do I Know What Search Terms To Choose”. Thats the question for this weeks Q & A Tuesday. This has to be one of the questions I get asked the most. It seems to be the one part of SEO people either undervalue or allow to stop them in their tracks and give up on SEO. If you have been tempted to give up then stop right there! 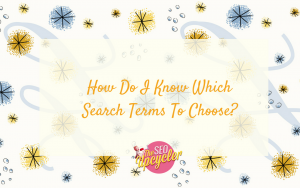 Because the answer to “how do I know what search terms to choose” is not as complicated as you might think it is. In actualy fact its WAY easier to choose your keywords than you thought it was. In this video we will cover, where you can go to help you generate keyword ideas. 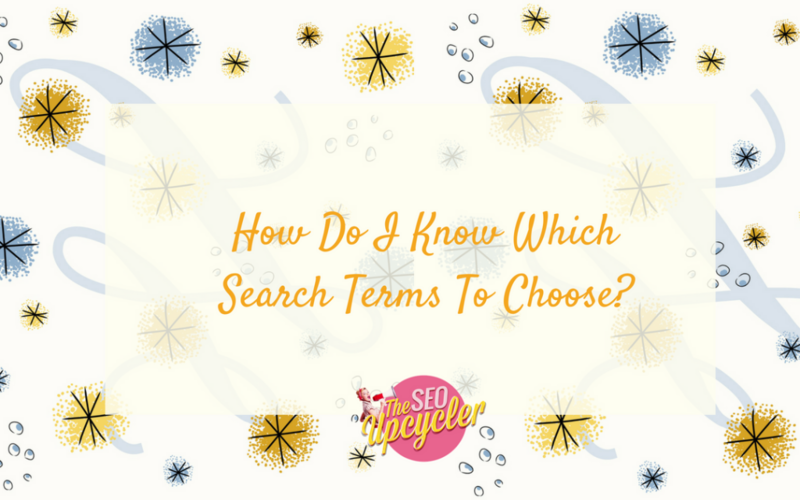 How to find out exactly how many people are searching for your chosen terms each month, and just how competitive those search terms are! 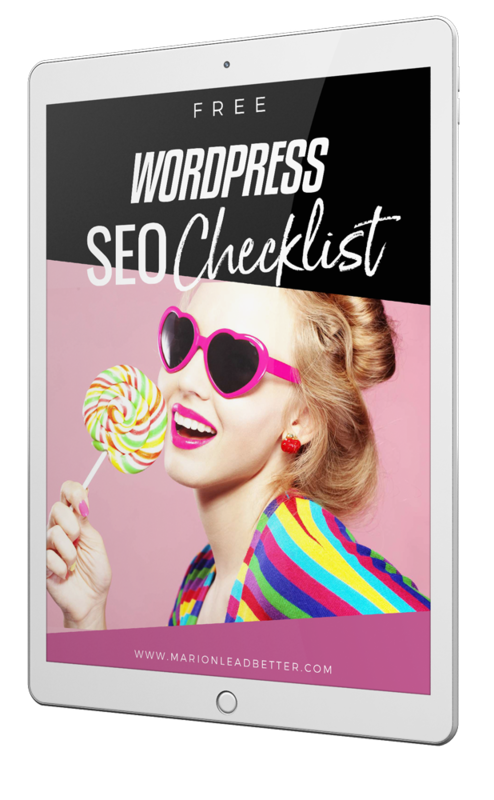 Not only that but we will cover all the things you need to avoid when it comes to choosing your keywords! 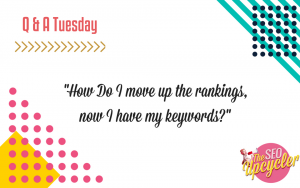 So lets dive into this weeks Q & A and discover how to choose the search words for your website! I hope that this video has helped take some of the stress and anxiety out of choosing your keywords. 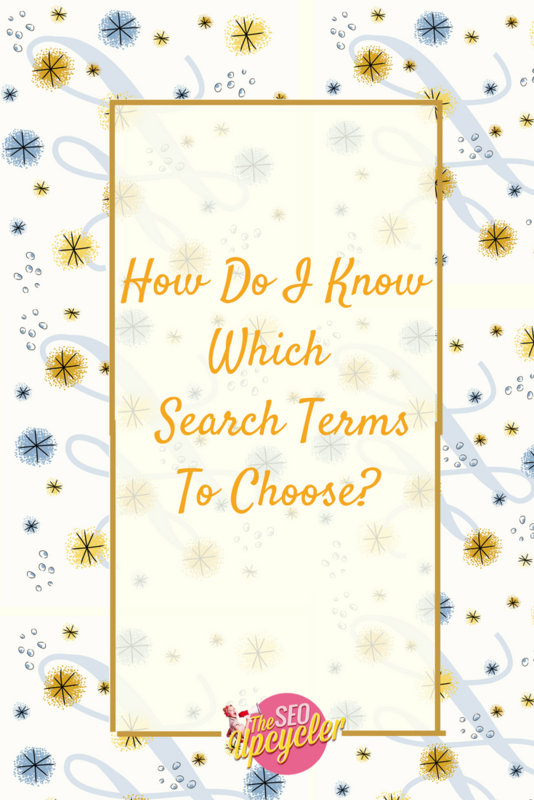 I know this is a subject that you might really have felt resistant to, I wasn’t kidding when I said Im asked the question daily “How do I know what search terms to use” . 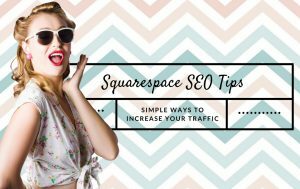 Of course it’s a great question to ask, because if you aren’t targetting the correct search phrase then it can negatively impact your traffic numbers. 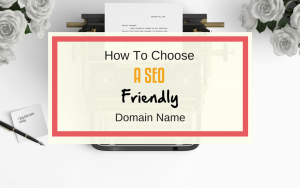 So yes keywords are vital however that doesn’t meant choosing the has to be complicated or hard!